Lowly have also just announced news of a number of European tour dates to follow the release of Hifalutin, including a headline show at the Moth Club in London. Dates/info here. A band unafraid to reach beyond their comfort zone, Lowly thrive on the embrace of doubt and curiosity. An inquisitive spirit drives the quintet’s second album, which evolved from an open-ended process in large spaces, from lost factory halls to water towers. Released via Bella Union in April, Hifalutin brims with suggestive discoveries from its title onwards. Dictionary definitions include “pompous” and “larger than life”; the word is also antonymic with the word Lowly. However you take it, the result is the work of five people expressing themselves freely as a tight collective: focused, yet fertile with possibility. Warmly received in Pitchfork, Uncut and elsewhere, Lowly’s debut album, Heba, was a feast of dramatic dream-pop. Yet Hifalutin is more ambitious still. The album was primarily recorded in a 150 square meter warehouse, just outside the city of Aarhus. Band members recorded their parts as individuals and as a group; meanwhile, the producer, Anders Boll, placed microphones in nooks and crannies of the enormous space, all the better to highlight the dynamics between the band members. A willingness to turn their backs on accepted frames of practise, for both recordings and performances, has characterized Lowly since their formation in 2014 at the music academy in Aarhus, Denmark, where they studied different subjects but forged a unique chemistry out of contrast. Last autumn, they played a concert in Brønshøj Water Tower, in the suburbs of Copenhagen, where the reverb was long and pronounced. The band had to carefully reconsider which notes and chords they could play; too many tones would muddy the sound. Pieces from this concert would find their way to Hifalutin. These diverse songs find hidden connections to each other through the chemistry between the sounds and Boll’s productions. And, of course, through the literate, abstract lyrics, which include references to works by experimental poet Inger Christensen and Persian poet Jalal ad-Din Rumi. “Our lyrics consist of images and scenes that briefly glide into one’s field of view, and then disappear again,” co-lead singer Soffie Viemose explains. “We’d rather show something than say something quite literally.” An invitation sent from and to curious minds, Hifalutin is luminous modern pop at its most delicate and robust, assertive and open-ended. 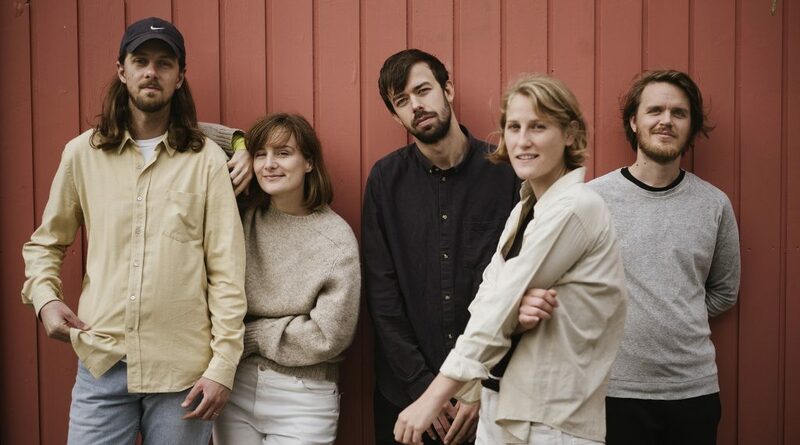 Lowly share new single “Wood” / Catch the band in the US next month!